In the scheme of ocean-related conferences (of which there are actually quite a few now), the recently wrapped Sixth International Marine Debris Conference (6IMDC) was unique. Whereas many international confabs are designed to attract heads of state or other high-ranking government officials, often gunning for framework agreements or commitments after two days of “high-level” discussions, 6IMDC was far more granular. Organized by NOAA and the United Nations Environment Programme and held in San Diego, the goal was to go deep in the weeds—the kelp, if you will. Over 70 technical sessions covered pretty much any and every aspect of the marine debris problem that you can think of, from grassroots organizing around plastic bag bans to corporate social responsibility on plastic production, from best practices in educating young students about ocean trash to social justice and inclusivity in the trash-free seas movement. As if the 70+ sessions weren’t enough, the five-day conference also included a poster night, where researchers presented new findings on the prevalence of microfibers in Mediterranean fish populations, the impact of sunlight on the molecular structure of plastic, and the effectiveness of bottle bills in reducing plastic beach trash, among many other ocean trash-related inquiries. Mid-week, attendees were able to participate in one of several planned field trips, including a local beach cleanup; a visit to the working waterfront of San Diego Bay; and an ocean plastic monitoring cruise, to name a few. On the fourth night, the San Francisco International Ocean Film Festival—which wrapped up just last month—screened a selection of film entries relating to ocean trash (including mini documentaries and even a few animated shorts like “Ain’t No Fish” and “Gloop”). 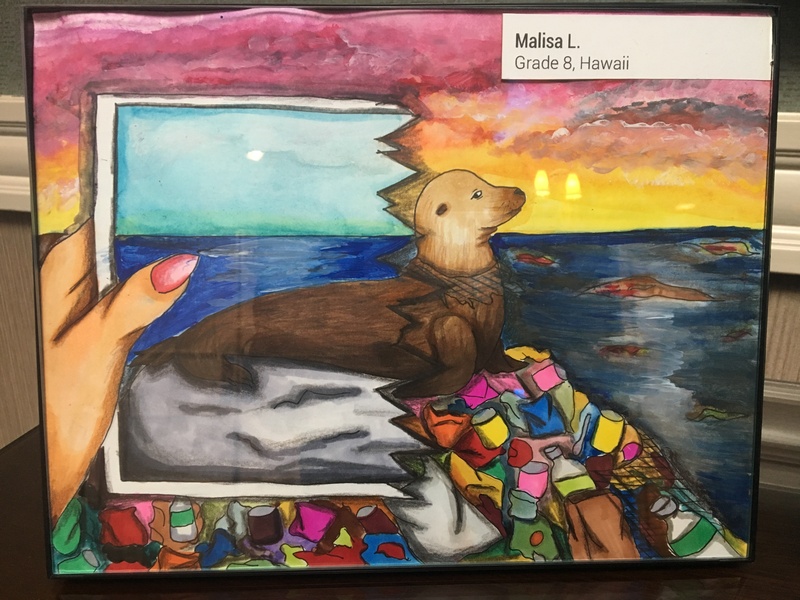 And the venue itself, which of course was made completely zero-waste with reusable utensils, glasses and even chalkboard name tags, was decorated with student artwork on marine debris and featured a back room of professional art installations on the topic. 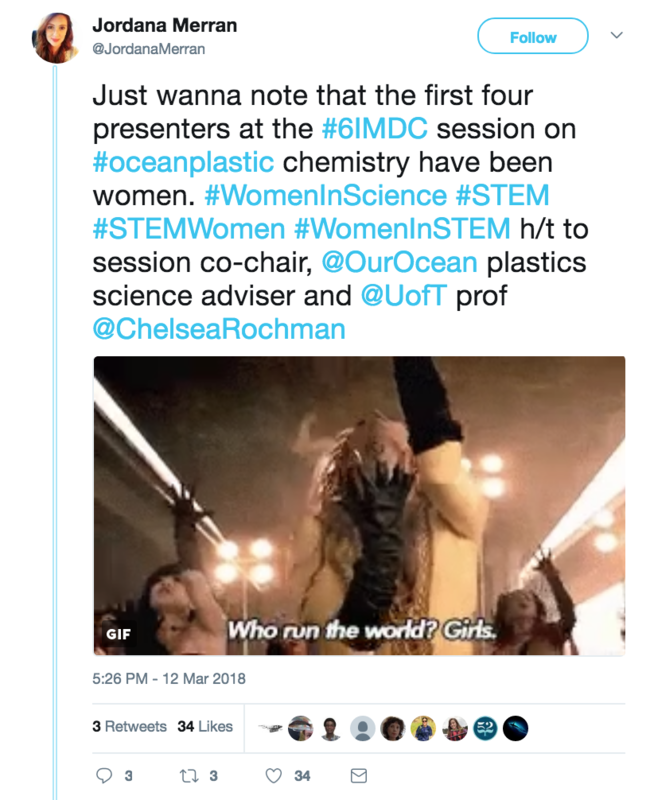 I think this Tweet says it all.There was no shortage of women scientists, officials, and activists showing leadership on the marine debris issue. In fact, all three scientists presenting at the “State of the Science Panel” plenary session were women, not to mention key members of an NCEAS scientific working group on marine debris that Ocean Conservancy initiated in 2011. A lot of people care about marine debris and are working to solve the problem. and Indonesia. 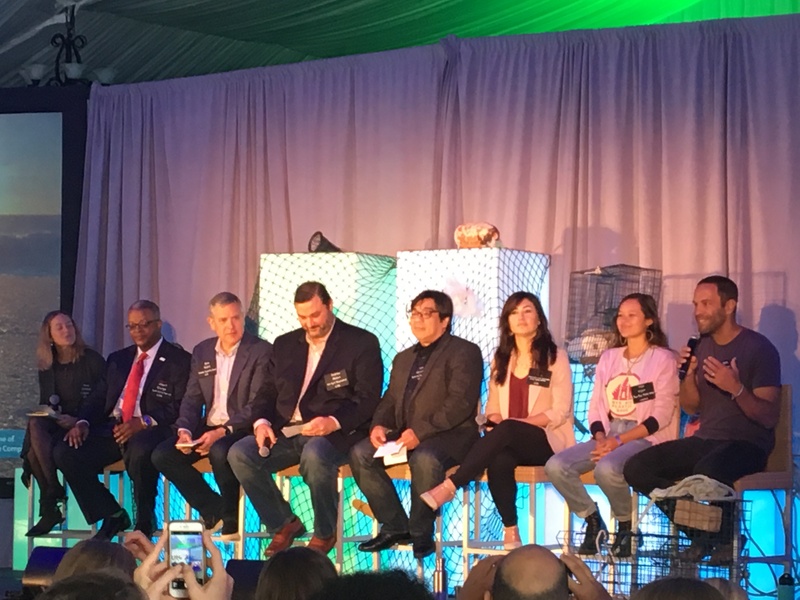 There were researchers, activists, and plastics manufacturers; people who work on beach cleanups and underwater cleanups; entrepreneurs developing new ways of tackling ocean plastic; artists and more. Musician and ocean advocate Jack Johnson performed three songs at the closing plenary (including a “PSA” about ocean trash), just a day after his wife and manager Kim shared the many ways that the couple is working to reduce single-use plastic waste at music venues and concerts. See the performance by clicking here! There are lots of different ways to tackle marine debris, and everyone can play a role. Just as attendees were diverse, so, too, were their perspectives and approaches to tackling the ocean plastic problem. Some have prioritized cleanup activities. Others have prioritized education, and sensitizing the next generation to the threat of trash to healthy oceans. Some think that the answer is to ban all single-use plastics; others think materials innovation is the answer. Ocean Conservancy believes we need to focus on accelerating improvements in waste management in those countries that disproportionately contribute to the problem. But it’s also our view that none of these approaches alone will solve the global problem of ocean plastic; all of them together, however, stand a chance of stemming the tide. It’s clear from the conference that the ocean plastic issue has a hold on the scientific and ocean community; and though a seventh IMDC has yet to be announced (they are not an annual affair), the desire for more regular interventions like these was palpable. Rest assured that until the next one, Ocean Conservancy’s Trash Free Seas team, and the many folks dedicated to solving the marine debris crisis, will continue working toward a healthy ocean free of trash.